Carnival of Space #312 is Here! 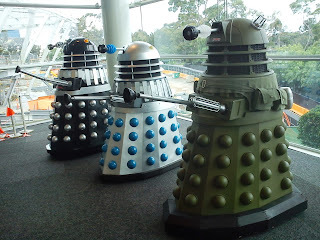 Carnival of Space #312 is now up at Links Through Space. There's the Slingatron space launcher, The Day the Earth Smiled, painting exoplanets and much more. Wander over and have a read. 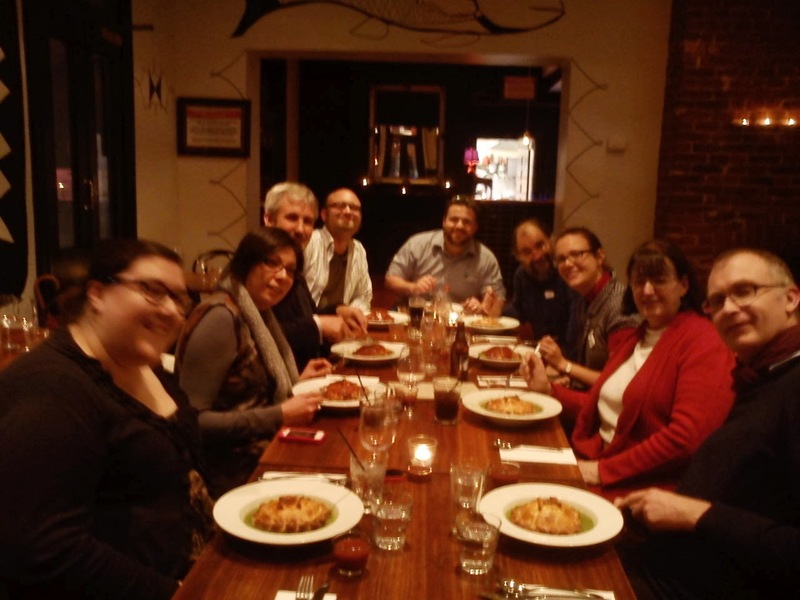 Southern Skywatch August, 2013 edition is now out! Morning sky on Sunday August 4 looking north-east as seen from Adelaide at 6:30 am local time in South Australia. Mars, Jupiter, and Mercury form a line in the morning sky, with the crescent Moon above Jupiter. Similar views will be seen elsewhere at the equivalent local time (click to embiggen). The August edition of Southern Skywatch is now up. There's still some nice planetary action this month with Jupiter, Mars and Mercury meeting the Moon. Mars climbs higher to the morning sky and is near the crescent Moon on the 4th. Jupiter climbs higher still and is also near the crescent Moon on the 4th. Mercury leaves the morning sky after being not far from Mars and Jupiter in the first weeks of the Month. It is near the crescent Moon on the 5th. Saturn was at opposition in April, but it is still big and bright this month. On March 13 the Moon is close to Saturn. The New Moon is Wednesday August 7. 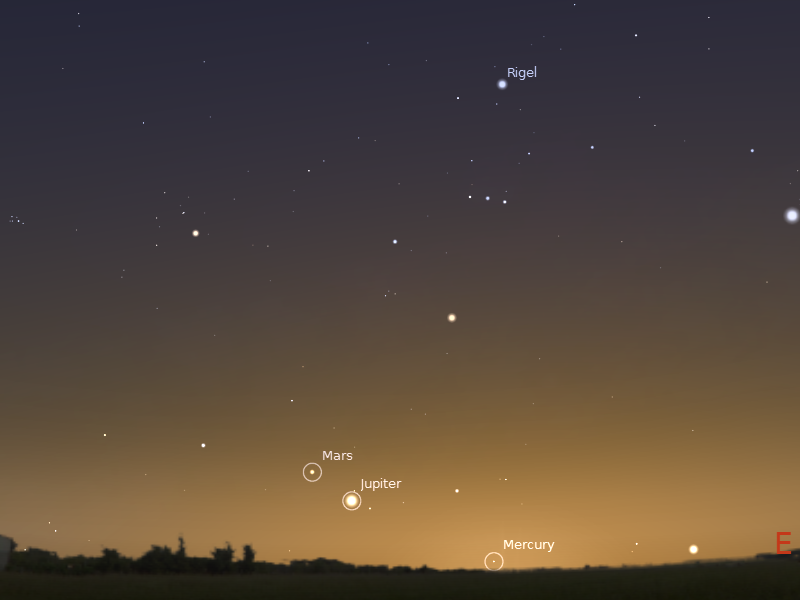 Mars, Jupiter and Mercury form a line in the morning twilight. Mercury becomes lower in the morning sky. 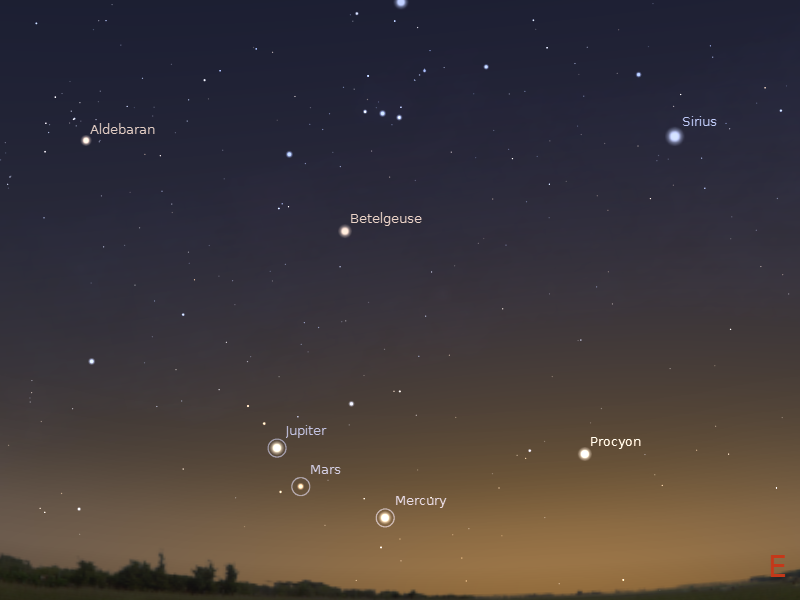 The crescent Moon visits Mars and Jupiter on the 4th and Mercury on the 5th. 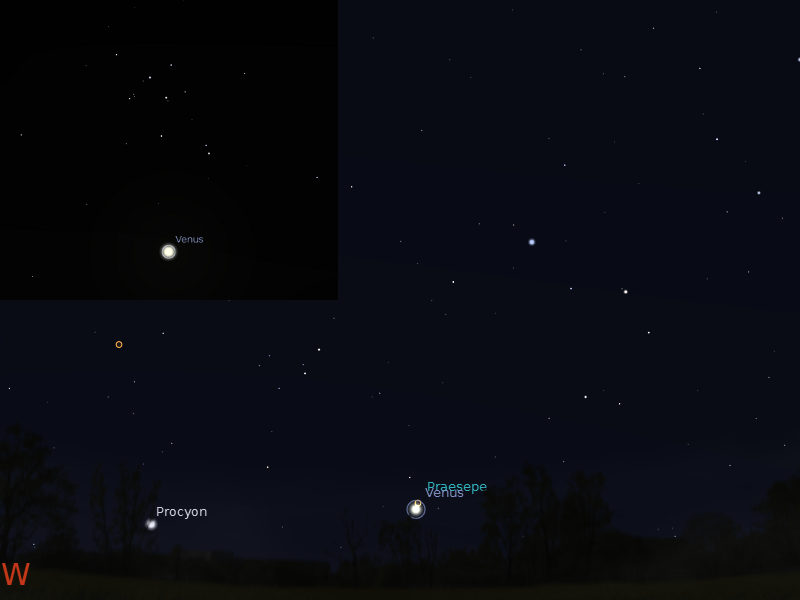 Venus is readily visible in the evening twilight and is heading towards the bright star Beta Virginis. Saturn is high in the western evening sky. The New Moon is Wednesday August 7. The Moon is at Apogee on the 3rd. Evening sky looking west as seen from Adelaide at 18:30 pm local time on Saturday August 3. Venus is quite high in the evening sky heading for Beta Viriginis (out of frame at the top). Similar views will be seen elsewhere at the equivalent local times. Click to embiggen. Venus climbs higher in the evening twilight. It can easily be seen 20 minutes after sunset and is now brilliantly visible up to an hour and a half after sunset. 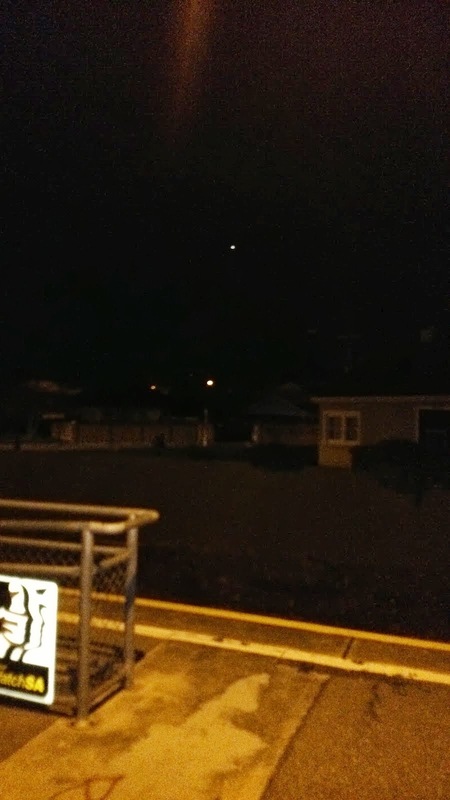 Venus comes closer to heading for Beta Viriginis as it climbs higher in the sky. Saturn is easily visible above the western horizon in the early evening in the constellation of Virgo. By 10 pm local time it is above the western horizon and very easy to see. This is still an excellent time to view this planet in a small telescope, as there will be the little interference from horizon murk and air turbulence (and you can show the kids before they go to bed). Saturn, Arcturus and Spica form a long triangle above the western horizon. Mars rises higher in the morning twilight. It forms a a line with the bright stars Betelgeuse and Rigel. 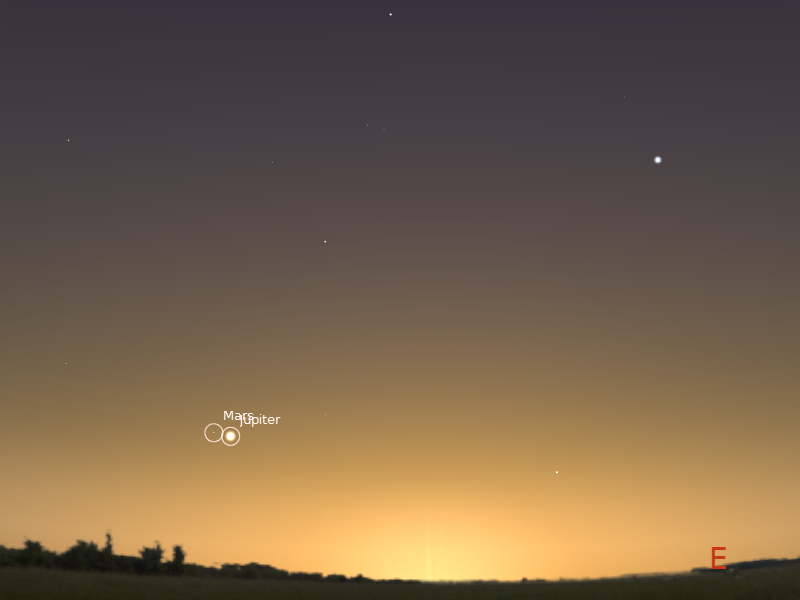 Mars, Jupiter and Mercury start the week forming a line in the morning twilight. Jupiter is now well above the north-eastern horizon, above Mars. During the week Jupiter rises higher and continues to move away from Mars. On the 4th the crescent Moon is above Jupiter. 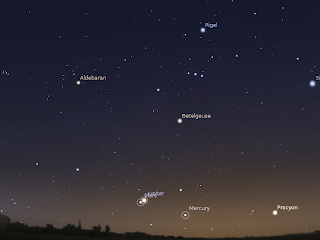 Mercury lowers in the morning twilight this week. On the 5th the crescent Moon is above Mercury. 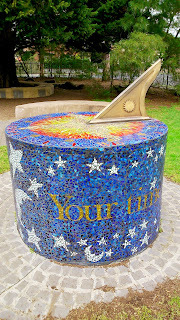 Beautiful sundial at Kew Primary school. Carnival of Space #311 is Here! Carnival of Space #311 is now up at the Next Big Future. There's water tracks on Mars, iridescent clouds, a blue alien world which rains glass, teachers in space and a lot, lot more. Head on over and have a read. The Last Quarter Moon is Tuesday July 30. Mars and Jupiter are close in the morning twilight. Mercury climbs higher in the morning sky and is highest on Tuesday. 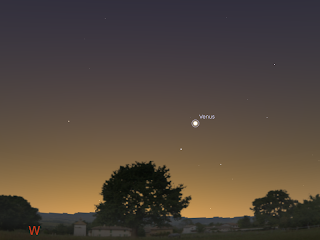 Venus is readily visible in the evening twilight and is near to the bright star Regulus. Saturn is high in the western evening sky. The Southern Delta Aquariid meteor shower peaks on Sunday 28 July. The Last Quarter Moon is Tuesday July 30. Evening sky looking west as seen from Adelaide at 18:00 pm local time on Saturday July 27. Venus is above the bright star Regulus. Similar views will be seen elsewhere at the equivalent local times. Click to embiggen. Venus starts the week just above the bright star Regulus. 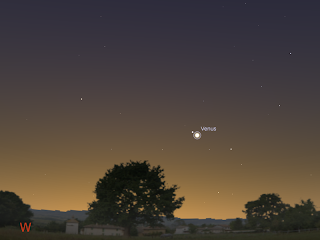 As the week goes on, Venus moves away from Regulus as it climbs higher in the sky. Saturn is easily visible above the northern-western horizon in the early evening in the constellation of Virgo. By 10 pm local time it is moderately high above the western horizon and very easy to see. This is still an excellent time to view this planet in a small telescope, as there will be the little interference from horizon murk and air turbulence (and you can show the kids before they go to bed). Evening sky looking east from Adelaide at 10 pm local time in South Australia. The cross marks the radiant (the point where the meteors appear to originate from) of the Southern Delta Aquariids. Similar views will be seen elsewhere at the equivalent local time (click to embiggen). The Southern Delta-Aquarids meteor shower runs from from 12 July to 19th August, peaking on July the 28th. This shower is fairly faint, with the highest rate of around a meteor every 6 minutes. 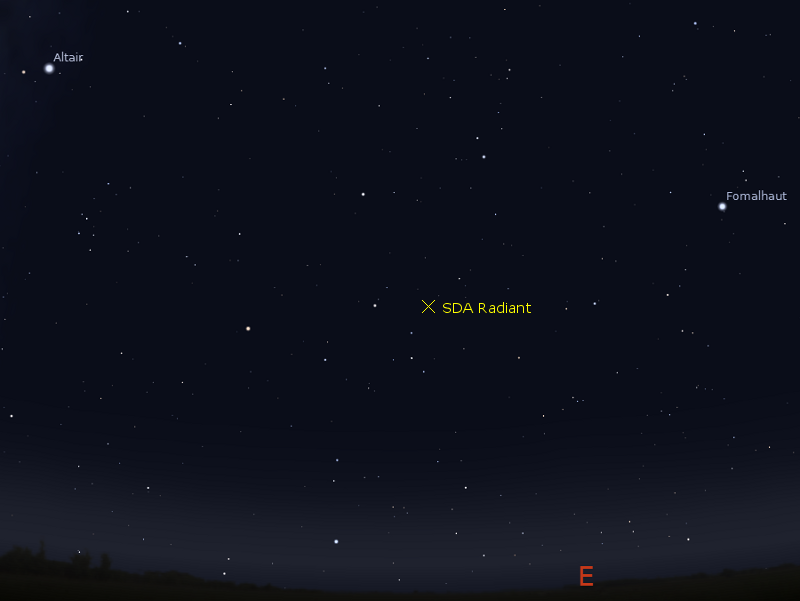 At 10 pm, face east, and look 4 hand spans and two finger widths above the horizon. 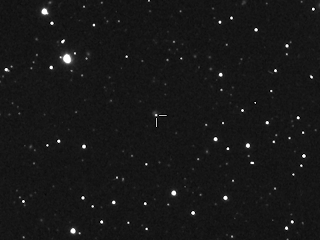 One finger width right is the 4th magnitude star delta Aquarii. The radiant is just above this star. This meteor shower should be visible from 10.00 pm until dawn, but after midnight the waxing Moon rises, interfering with viewing. Morning sky on Tuesday July 30 looking north-east as seen from Adelaide at 6:30 am local time in South Australia. 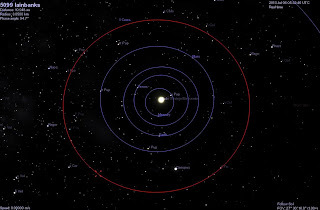 Mars is near Jupiter, with Mercury nearby. Similar views will be seen elsewhere at the equivalent local time (click to embiggen). Mars and Jupiter start the week not far from each other and draw apart during the week as Jupiter overtakes Mars. Jupiter is now well above the north-eastern horizon, just above Mars. During the week Jupiter rises higher and moves away from Mars. At the King's Head having pie floaters with the Australian Science Communicators for the real Pi day (22/7). Each pie has a pastry pi symbol on it. Apollo 11 lunar module, Eagle. Image Credit NASA/LRO. 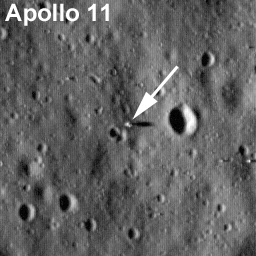 About 4 am on 21 July Australian Eastern Standard Time in 1968, Apollo 11 Lunar Lander Eagle touched down in the Sea of Tranquillity on the Moon. At 12.56 pm the famous Moonwalk began watch by this school boy, amongst millions of others. At 4 am this morning I was asleep, I wasn't even visiting the Moon in my dreams (I was at a cafe with my family in my dream, eating soup). At 12:56 I was returning from transporting EldestOne to a remote bowling alley, still not thinking of the Moon landing (thinking more "will this giant truck crush me"). Still, I've had some time to reflect. In the 44 years since that boy watched the Moon walk transfixed by the flickering black and white image (bought to you by the Parkes radio telescope) a lot has changed. Only yesterday a large number of earthlings waved at a spacecraft around Saturn, and we have the images today. Voyager 1 has almost left the solar system. New Horizons is almost at Pluto. We have landed spacecraft on Asteroids and blown a hole in a comet. Opportunity has been roving Mars for longer than we sent humans to the Moon. And the Lunar Reconnaissance Orbiter has sent back pictures of the abandoned landing stages on the Moon. The Moon landing was not the first of humanities steps into space, nor will it be our last, but it was certainly the most dramatic, and etched itself forever into my mind. 44 years ago a boy couldn't sleep for the excitement of seeing humans on the Moon. Today, somewhere in the world other children are sleepless with excitement over what we are accomplishing today, that's a fine legacy for our Moon walkers. Morning sky on Monday July 22 looking north-east as seen from Adelaide at 6:30 am local time in South Australia. 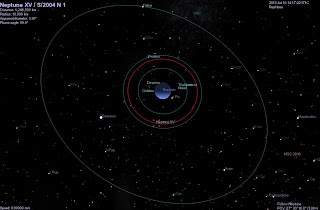 Mars is near Jupiter, with Mercury nearby. Similar views will be seen elsewhere at the equivalent local time (click to embiggen). Evening sky looking west as seen from Adelaide at 18:00 pm local time on Monday July 22. Venus is close to the bright star Regulus. Similar views will be seen elsewhere at the equivalent local times. Click to embiggen. Don't forget that tomorrow (July 22nd) we have two great conjunctions, morning and evening. In the mroning Jupiter and Mars are close, while in the evening Venus and st bright star Regulus (the brightest star in Leo) are close. Should be good viewing if this rain ever stops, that is. The First Images of Saturn and Earth are Here! 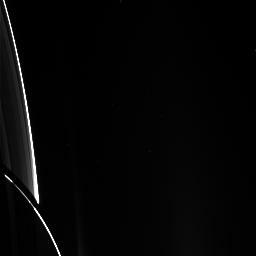 A raw image from the Cassini "Wave at Saturn" event. Image credit NASA/JPL/Space Science Institute. I hope you all had a great Wave at Saturn, the raw images from the event have ebb downloaded any you can find them here. They don't look like much, but this blog post from the Cassini team explains what the raw images are and how to search them. They need a bit of processing to make pretty pictures. And of course people have already started maig them into pretty pictires, ahed of the offical versions. Here's a brilliant image from Maksim Kakitsev, assembled from the various colour shots, showing Earth below the rings. Here's an entire image series of Saturn and it's rings with Earth from Val Klavans. One processed image that is doing the rounds is this one of the Earth and Moon. Image credit NASA/JPL/Space Science Center. In the next few days we should expect to see more amazing images from the Day the Earth Smiled. Waving at Planets (Saturn and Mercury) in the Rain. Waving at Mercury for the MESSENGER photo on Friday night Waving at Saturn just now (Saturday morning) for the Cassini photo. Despite the cold, wind and the rain I managed to get up this morning to wave at Saturn. I had a good chat with Ashley Walsh on ABC local radio about why it's a good idea to wave at the ground this morning, as Saturn was well below the horizon in Australia when Cassini snapped our picture. The interview was accompanied by the hammering of hail. Then at the alloted hour I donned raincoat and trudged out for my wave. At least the hail had stopped. I had a few minutes of fellowship with folks worldwide who were also waving. Then I raced back inside to stop being blown away by the wind. Things were slightly easier last night when we waved at Mercury (also below the horizon), we just had to wait for a gap in the rain. Everyone who participated can get a certificate from here. Eastern horizon as seen from Adeliade at 6:57 am ACST on July 20. To wave at Saturn, go outside, face east, turn a little south and … look down at your feet. Don't forget, on Saturday July 20, at 7:27 am AEST, 6:57 am ACST and 5:27 an AWST, (that’s July 19, 21:27 UT), the space probe Cassini will look back to Earth and take a picture of our planet. Of course, Saturn is well below the horizon from Australia. But by getting out there and participating, you will have taken part in one of only 3 of portraits of Earth taken from a spacecraft in the outer solar system. And besides NASA needs more photos of crazy Aussies waving at the ground. Don't forget to post your images to them for their Flickr account or Facebook page. You can find out more at NASA’s photobomb site, there are community events at “The Day The Earth Smiled” and a live webcast of Saturn while Cassini snaps us at the Virtual Telescope. 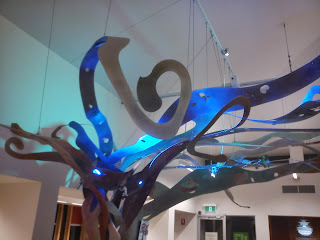 The Australian ABC Online has a good report of this event, as well as a photo-gallery of portraits of Earth from space. Mercury as seen at 6:30 am local time, this will be lovely to look at while waiting to wave at Saturn, but Mercury will be well below the horizon when Messenger snaps Earth’s picture in the early evening. And wouldn’t you know it, the MESSENGER spacecraft at Mercury is getting in on the act! 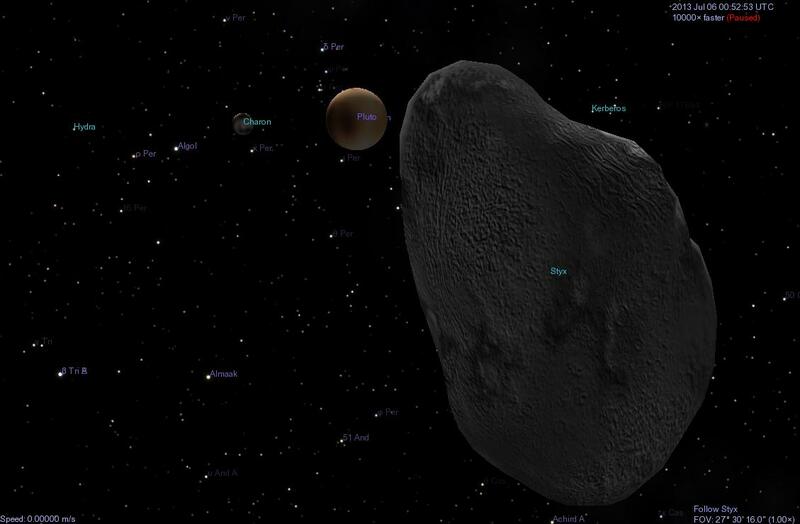 While searching for possible Mercurian Moons, Messenger will look back towards Earth and snap it’s (very small) portrait. The times MESSENGER will be photographing Earth are 11:49, 12:38 and 13:41 UT, this translates out into 21:49, 22:38 and 23:41 AEST on the evening of both the 19th and the 20th here in Australia (subtract half a hour for central states and two hours for WA). Again, Mercury will be well below the horizon in Australia when this happens. Follow exactly the same steps as looking for Saturn above (although this time it will be at a decent hour in the evening). The Australian IPS has issued a geomagnetic alert for possible minor storms on July the 19th due to the impending impact of a coronal mass ejection. However, the waxing moon will significantly interfere with seeing any aurora in the evening, and dark sky sites have the best chance of seeing anything. The weather is not entirely favourable either. A blast from the past, comet C/2012 F6 Lemmon and the Andromeda galaxy taken on 11 June 2013. Image is a mosaic of two panels, each derived from 5 x 120 second exposures taken with iTelescope T14. Images were stacked in ImageJ to make the individual panels, then the panels stitched together with the GIMP. The view towards Neptune from S/2004 N1, with the Moons Galetea, Proteus and Triton visible. Simulated in Celestia. 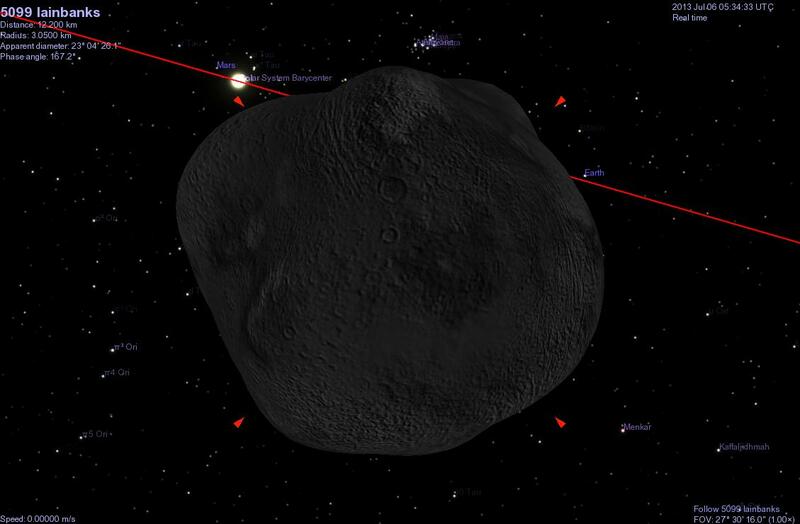 Orbit of the new Moon simulated in Celestia. 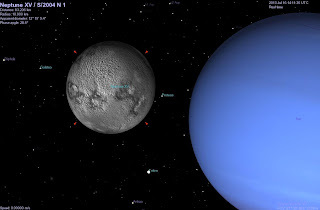 Hard on the heels of Pluto's new Moons, a new Moon of Neptune has been discovered in archival pictures taken of Neptune by the Hubble space telescope.The new Moon, S/2004 N1, is the 14th Moon of Neptune, orbiting between the Moons Larissa and Proteus. 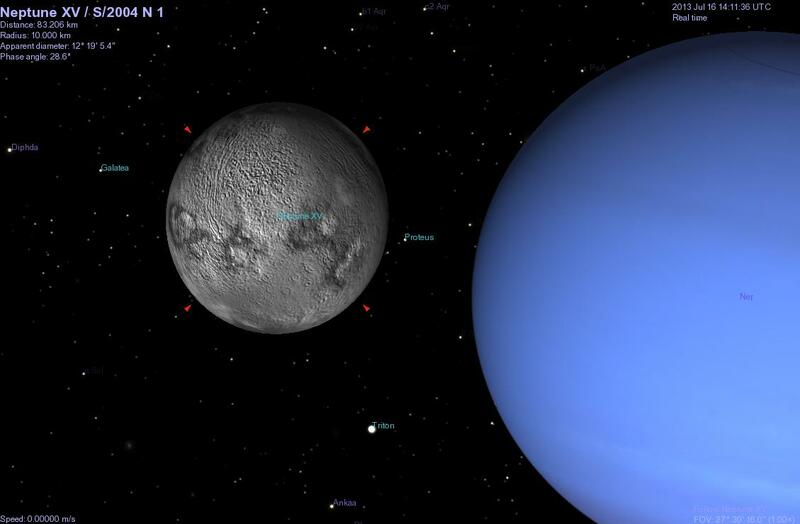 At 20 Km across, it is the smallest Moon of Neptune (but by no means the smallest Solar System Moon), and appallingly dim. Once again I've made a Celestia file for the new Moon. As usual, copy the data here to a plain text file (newneptunemoon.ssc), copy the file to the Celestia extras folder. Once more I have to update my Celestia Moon tour. "Neptune XIV:S/2004 N 1" "Sol/Neptune"
Carnival of Space #310 is Here! Carnival of Space #310 is now up at the Chandra Blog. There's craters on Mercury, Earth's tail, music inspired by astronomy, the upcoming 'wave at Saturn" event, future Mars rovers and much more. Roll on over and have a read. The Full Moon is Tuesday July 23. Mars and Jupiter meet in the morning twilight. Mercury climbs higher in the morning sky. Venus is readily visible in the evening twilight and is close to the bright star Regulus on the 22nd. Saturn is high in the western evening sky. 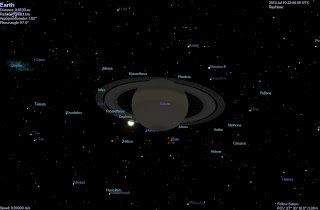 Wave at Saturn on the morning of the 20th. The Full Moon is Tuesday July 23. On the 22nd the Moon is at perigee, when it is closest to the Earth. Evening sky looking west as seen from Adelaide at 18:00 pm local time on Monday July 22. Venus is close to the bright star Regulus. Similar views will be seen elsewhere at the equivalent local times. Click to embiggen. Venus starts the week below the bright star Regulus. As the week goes on, Venus comes closer and the pair are at their closest, one degree apart, on the evening of the 22nd. Saturn is easily visible above the northern-western horizon in the early evening in the constellation of Virgo. By 10 pm local time it is reasonably high above the western horizon and very easy to see. This is still an excellent time to view this planet in a small telescope, as there will be the little interference from horizon murk and air turbulence (and you can show the kids before they go to bed). On the morning of Saturday July 20, at 7:27 am AEST, 6:57 am ACST and 5:27 an AWST, the space probe Cassini will look back to Earth and take a picture of our planet. Go out, look down and wave at Saturn (details here). Morning sky on Monday July 22 looking north-east as seen from Adelaide at 6:30 am local time in South Australia. 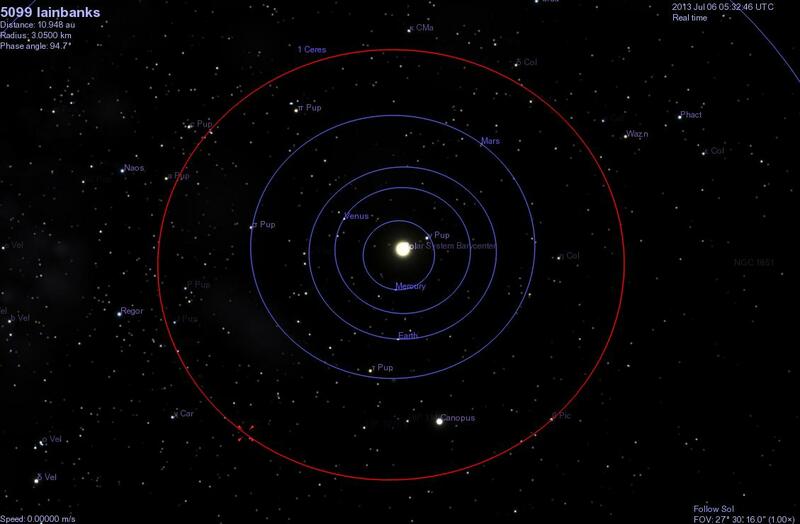 Mars is near Jupiter, with Mercury nearby. Similar views will be seen elsewhere at the equivalent local time (click to embiggen). Mars rises higher in the morning twilight. It forms a broad triangle with two red giant stars, Aldebaran and Betelgeuse, and almost forms a line with Betelgeuse and Rigel. Mars and Jupiter start the week not far from each other and come closer during the week, being closest on the morning of Monday 22nd. 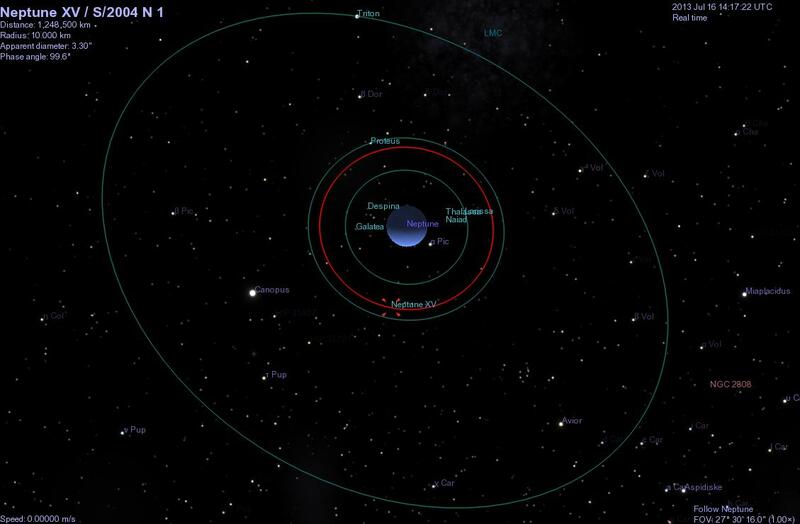 Jupiter is now well above the north-eastern horizon, just below Mars. It's still best to have a flat, unobstructed eastern horizon but seeing Jupiter gets easier by the day. During the week Jupiter rises higher and comes closer to Mars. The pair are closest on the morning of Monday 22nd. Mercury rises higher the morning twilight this week. It's best with a flat, unobstructed eastern horizon. Saturn, looking back towards Earth on Wave at Saturn day. 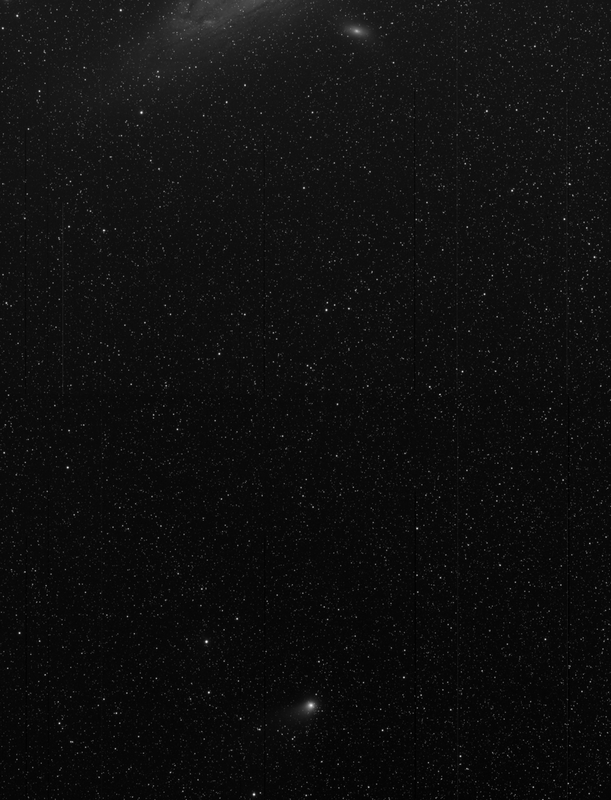 Simulated in Celestia (click to embiggen) Where's Saturn? Can you find it in this picture? On Saturday July 20, at 7:27 am AEST, 6:57 am ACST and 5:27 an AWST, (that's July 19, 21:27 UT), the space probe Cassini will look back to Earth and take a picture of our planet. It will be a pale dot floating just below the rings of Saturn, tiny and remote (see simulation above). To make this event even more special, the Cassini team want the world to wave at Saturn as Cassini images the Earth over 15 minutes (7:27 am AEST to 7:42 AEST). They would also like you to take pictures of yourselves waving at Saturn (or drawings or other artwork, kids especially) and post them to their Flickr account or Facebook page. The team want to make a special collage of all these images if they get enough of them, so give it a go! 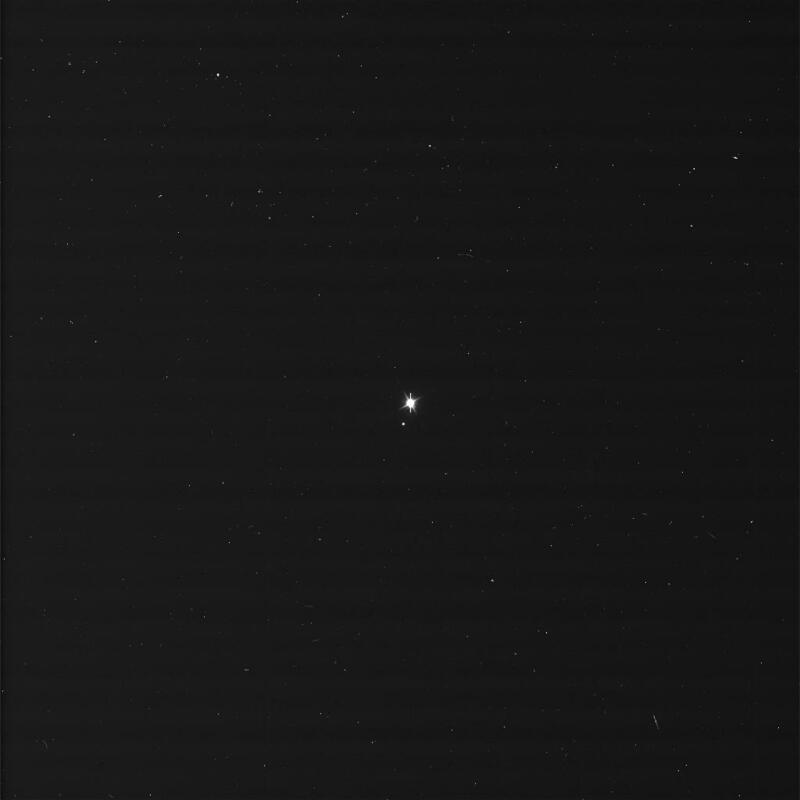 And, well, Earth will be just a dot, so it doesn't really matter if you are waving at the ground, it's getting out there and participating in a historic moment, one of the handful of portraits of Earth taken from a distant spacecraft. Later yu can look at the image and say "I was waving when that happened". 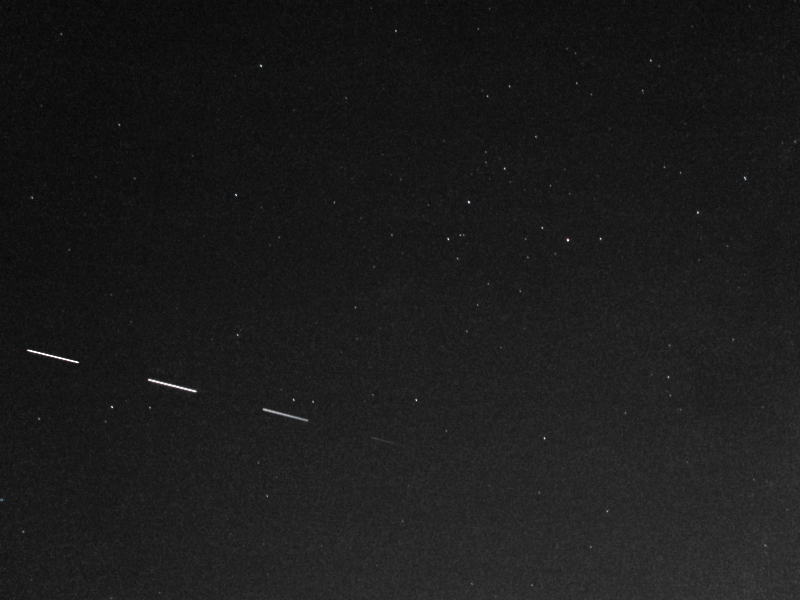 The ISS taken on 9 July as it passed beneath Scorpius. The ISS encountered the Earth's shadow and fades out abruptly near the head of the Scorpion. Taken with 5 second exposures on my canon IXUS at 400 ASA. Animated GIF of the pass. Animation assembeled in ImageJ. Slowly working through my image backlog. 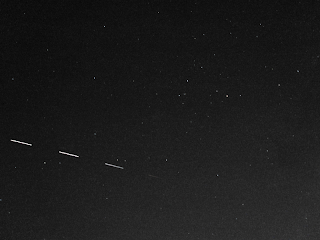 Images of a nice ISS pass during the week, missed imaging it as it almost crossed Arcturus, but rather nice anyway. If you happen to be in Hobart between August 2 and August 22 pop along to the Aurora Australis and Night Sky Photography Festival. This will be fantastic. 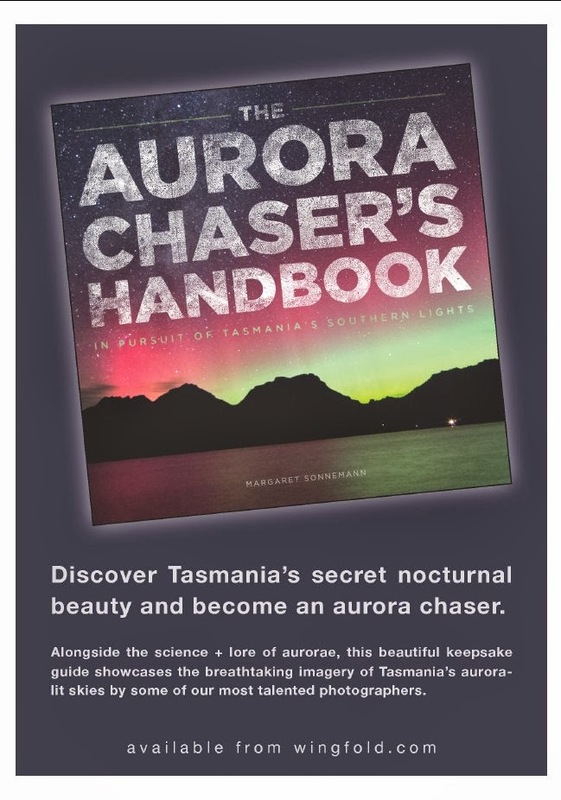 On Saturday 03 August there will be Aurora talks at the Hobart Town Hall followed by a BBQ. On Friday 09 August there will be a visit to the Mt Canopus telescope observatory. On Saturday 10 August there will be a photographic workshop at the Signal Station. And of curse there is the 3 week a photographic exhibition at the Mount Nelson Signal Station, Hobart. I wish I could be there, and I know many of my Facebook Aurora friends will be attending, but that's during my busiest teaching time. Carnival of Space #309 is Here! Carnival of Space #309 is now up at Tranquillity Base. Well, okay it was up nearly a week ago, but I was a bit busy. There's habitable planets around red dwarfs, Chandra's portraits of supernovas, odd rocks on Mars and avalanches on asteroids. Slip on over an have a read. A Coronal Mass Ejection observed on 9 July is expected to arrive on 13 July around 1600UT (that is around 2am AEST 14 July). See the IPS alerts here. As usual there is some uncertainty, and the impact could occur earlier or later. Unsettled to Minor storm conditions are predicted for high latitudes (Tasmania, Southern New Zealand, Australian Antarctic Territories) tomorrow and the day after (Saturday 13th and Sunday 14th). Although high latitudes are the best bet, the last two auroral shows were seen in Victoria and WA, so keep an eye peeled. The waxing moon is unlikely to significantly interfere with seeing any aurora, but dark sky sites have the best chance of seeing anything. Close up of Venus and the Moon near each other on the evening of July 11 at 5:45 pm, the pair are seen in early twilight. Canon IXUS at 400 ASA 3x zoom, 1/5 sec exposure. Click to embiggen. Close up of Venus and the Moon later in the evening of July 11 at 6:05 pm, the pair are seen through thin cloud. The Moon shows nice Earthlight. Canon IXUS at 400 ASA, 1 sec exposure and 3x Zoom. Click to embiggen. Much better luck with Venus and the Moon this evening. There was still a bit of thin high cloud about, but it didn't interfere as much as on the 10th. Not show in the images is Regulus. Venus, the Moon and Regulus formed a nice triangle in the sky. Earleir in the day (aroudn 1:30 pm) using the crescent Moon as a guide it was reasonably easy to pick up Venus in the daylight, again despite cloud interference. Venus was best seen with averted vision though. 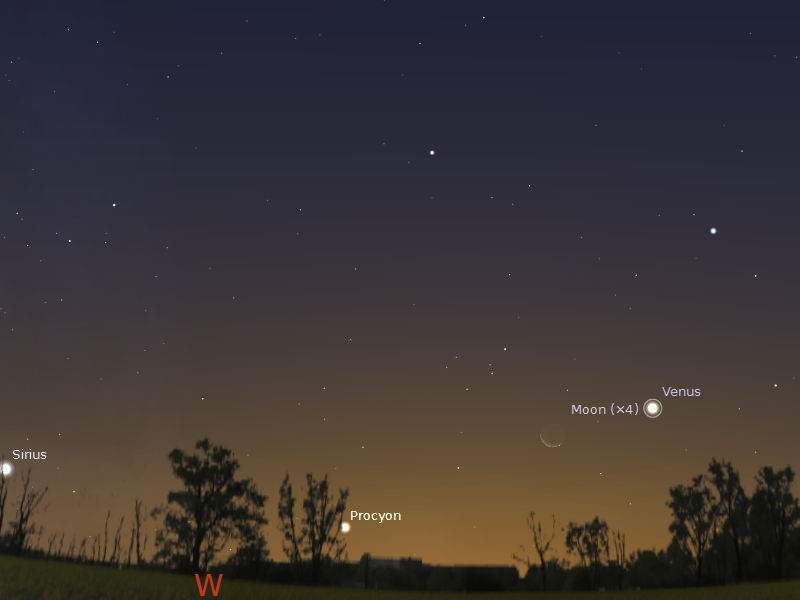 Venus and the Moon close together on the evening of July 10 at 6:24 pm, the pair are seen through thin cloud. Canon IXUS at 400 ASA, 5 sec exposure. Click to embiggen. Close up of Venus and the Moon close together on the evening of July 10 at 6:24 pm, the pair are seen through thin cloud. Canon IXUS at 400 ASA, 5 sec exposure and 3x Zoom. Click to embiggen. Despite cloud I caught Venus and the Moon this evening. There will be another opportunity to see them tomorrow night. You might also try your hand at using the crescent Moon as a guide to see Venus in the daylight. The First Quarter Moon is Tuesday July 15. Mars rises in the morning twilight and chased by Jupiter. Mercury returns to the morning sky. 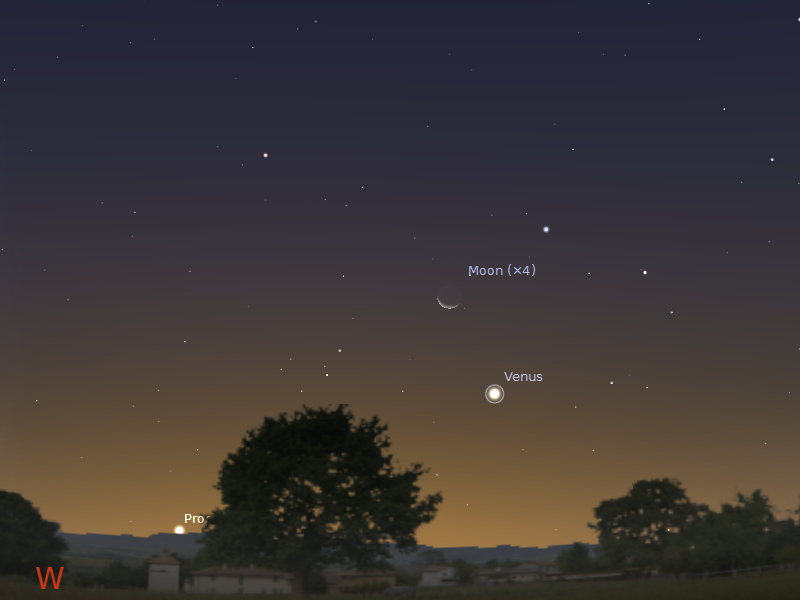 Venus is readily visible in the evening twilight and is visited by the Moon on the 11th. 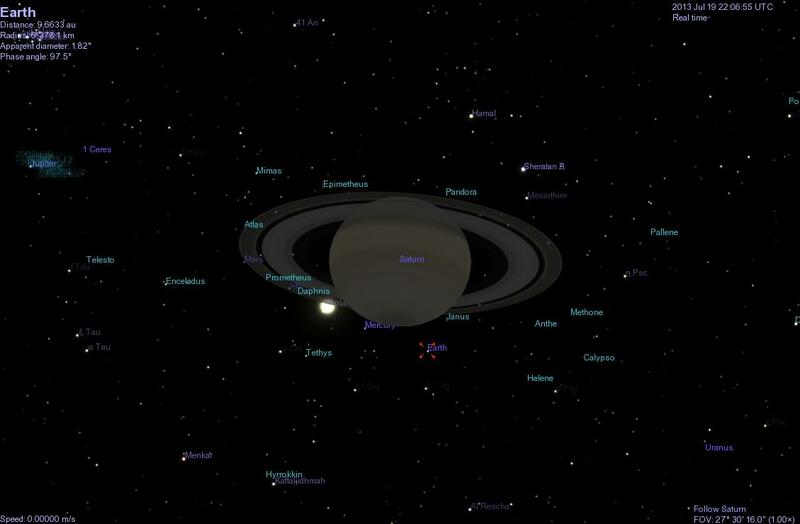 Saturn is high in the evening skies and is close to the Moon on the 17th. Evening sky looking west as seen from Adelaide at 18:00 pm local time on Thursday July 11. Venus is below the crescent Moon, which forms a triangle with it and the bright star Regulus. Similar views will be seen elsewhere at the equivalent local times. Click to embiggen. On the the 11th the crescent Moon is above above Venus, making a fine evening sight. 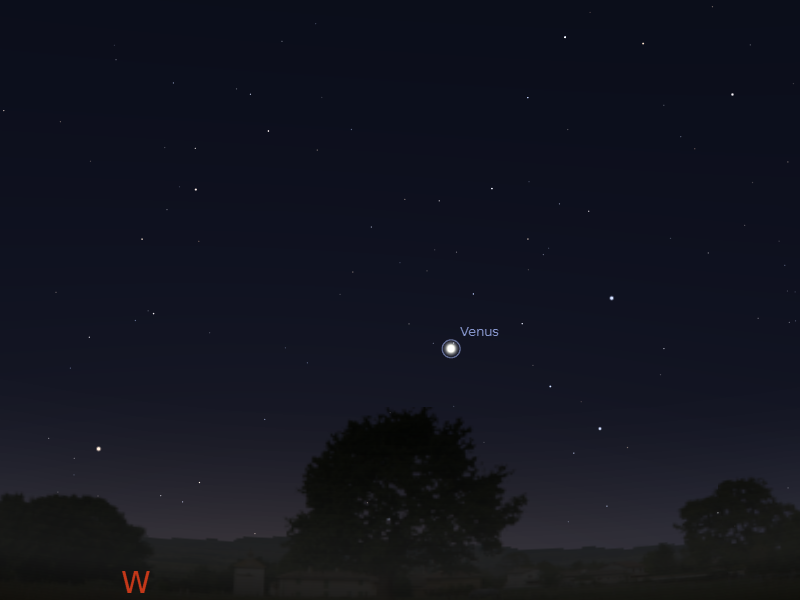 As the week goes on, Venus comes closer to the bright star Regulus. Saturn is easily visible above the northern horizon in the early evening in the constellation of Virgo. By 10 pm local time it is high above the northern-western horizon and very easy to see.This is an excellent time to view this planet in a small telescope, as there will be the little interference from horizon murk and air turbulence (and you can show the kids before they go to bed). Morning sky on Saturday July 14 looking north-east as seen from Adelaide at 6:45 am local time in South Australia. Mars is near the star Elnath, one of the horns of the Bull, in the twilight, and Jupiter is catching up to it, ready for their close encounter next week. Similar views will be seen elsewhere at the equivalent local time (click to embiggen). Mars rises in the morning twilight, but will still be best if you have a flat, clear horizon. It forms a broad triangle with two red giant stars, Aldebaran and Betelgeuse. Jupiter is now well above the north-eastern horizon, you still need a flat, unobstructed eastern horizon to see it at its best. During the week Jupiter rises higher in the twilight comes closer to Mars, ready for their vclose encounter next week. 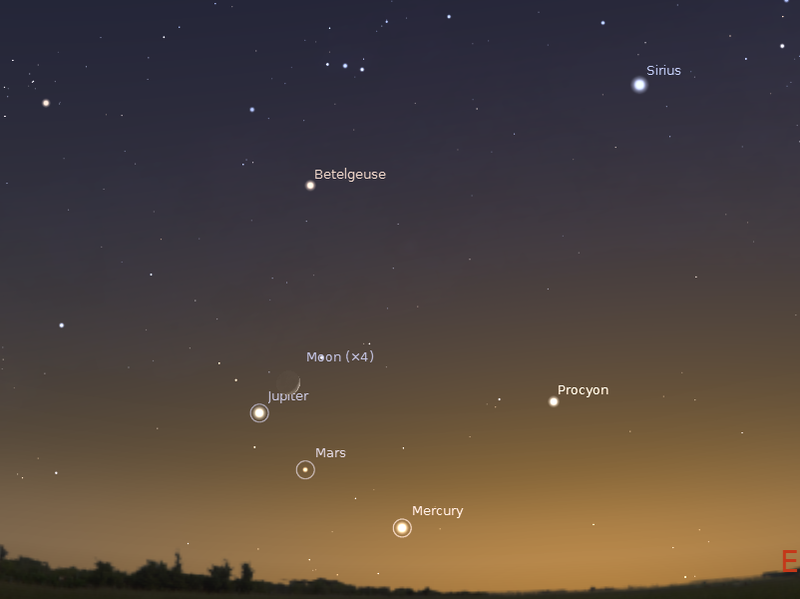 Mercury enters the morning twilight this week. You really need a flat, unobstructed eastern horizon to see it at the moment, but the view will improve over the coming weeks. Confirmed reports of aurora from New Zealand and Tasmania, cloud about but aurora visible to the unaided eye, beams and pillars seen, NZ may be quite intense. Go look south NOW. Despite the K index being only 3, the Bz is -10.0 nT. not bad. Asteroid 5009 Iainbanks taken with iTelescope T9 at 9 pm on Friday July 5. 5 x 3 inute exposures were stacked using ImageJ and SUMMED. Animated GIF of 5009 Iainbanks from two sequences shot an hour apart. The other moving things are all artifacts. Celestia simulation showing the orbit of 5099 Iainbanks. 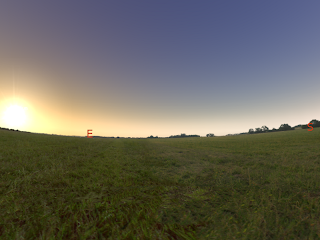 The view towards Earth from Iainbanks, simulated in Celestia. Iain Banks, a prolific and celebrated writer, died on 9 June 2013. He wrote both conventional and science fiction, publishing his science fiction works as Iain M Banks. He was one of my favourite novelists, his Culture novels works of soaring imagination, operating over huge swaths of the galaxy and of time. The solar system spanning artefacts his Culture dwellers created/inhabited put Larrry Niven's Ringworld Engineers to shame (Okay, okay, so the Orbitals were mini-Ringworlds, but he made a lot more of them, and other solar system wide structures). On June 23rd the IAU named asteroid 5099 as iainbanks, a fitting tribute to a much loved science fiction author. I didn't hear of it until yesterday, so I took the opportunity to take some shots of the asteroid with iTelescopes T9 instrument. 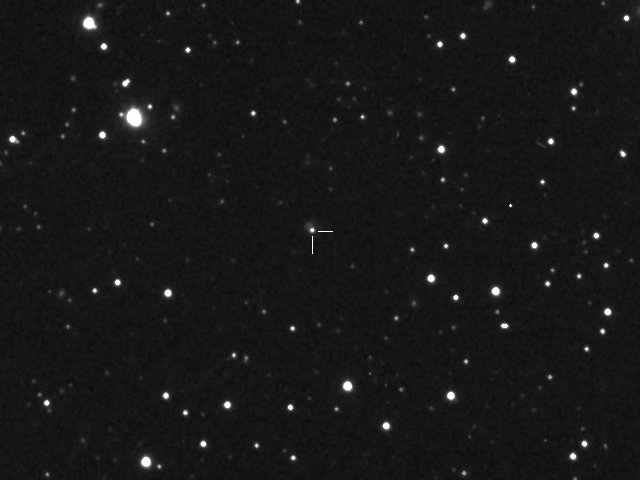 At magnitude 17 it's quite a bit dimmer than my usual quarry, and moving sufficiently slowly that I had to do two imaging runs an hour apart to see it move. "Thanks to their technology they are able to hollow out asteroids and use them as ships capable of faster-than-light travel while providing a living habitat with centrifugally-generated gravity for their thousands of denizens." I don't actually remember that in his novels (some of the ships are gigantic, but I though they were made de novo by the Minds). 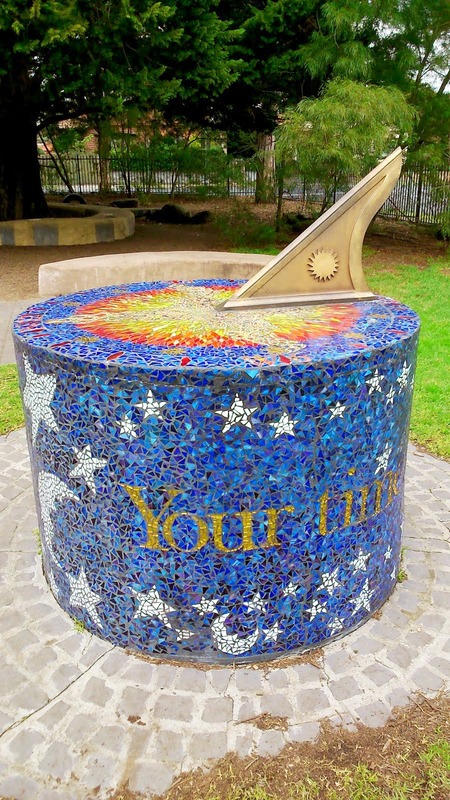 Still the only more fitting memorial would be an asteroid on a hyperbolic orbit. Of course I've made Celestia files for 5009 Iainbanks. As usual, copy the data here to a plain text file (5099iainbanks.ssc) and copy the file to the Celestia extras folder. Sadly, there are no Culture add-ons in the Celestia Science Fiction section, but there is a Ringworld add-on. #From 1286 observations at 20 oppositions, 1954-2013, mean residual 0".51. Venus and contrail taken on 1 July at 18:19 ACST, 2013, Canon IXUS at ASA 400, 4 seconds exposure. Click to embiggen. 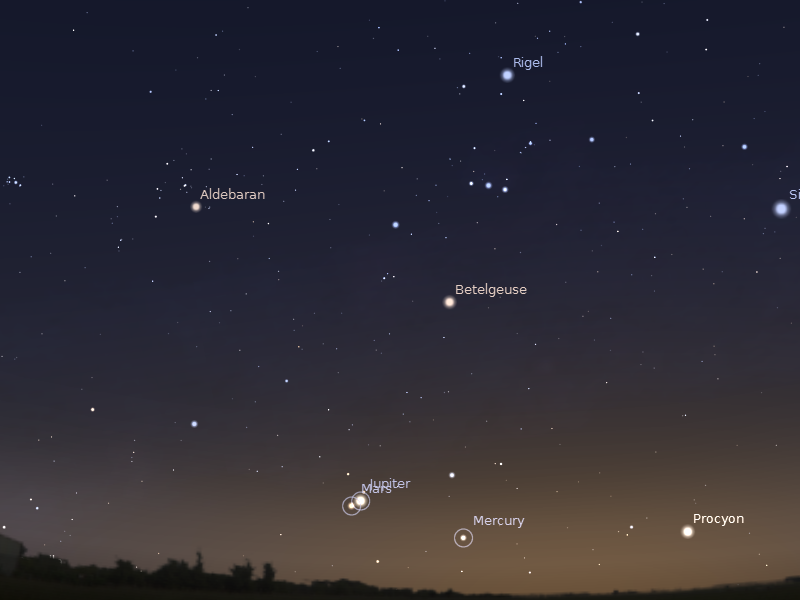 Almost equivalent view in Stellarium. I juggled the scale, but it still doesn't quite match the actual picture. I had to set the Light Pollution to 5 in View Sky (F4) to get the star intensities to mostly match (Venus and Procyon don't match still). Click to embiggen. Another nice shot of Venus. Missed Venus and the Beehive yesterday due to going to my sons' award ceremony, and tonight due to rain. Thought I'd use this opportunity to match the Stellarium view to the actual view, so you can get a better feel for how stellariuym matches the twilight intensity. 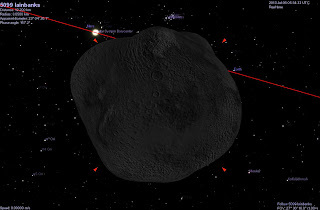 Plutos Newest Moons Named - Now get them in Celestia! Pluto, with all 5 named Moons in orbit. Visualised in Celestia. Click to embiggen Pluto, Charon, Kerebros and Hydra as seen from Styx. Click to embiggen. 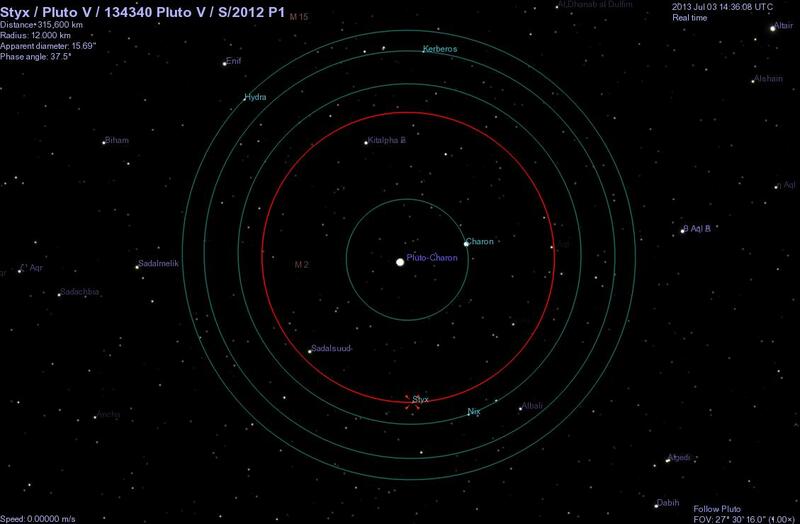 Plutos' newest Moons, P4 and P5 (found in 2011 and 2012) have finally been given official names. Vulcan, the number one name in the public vote (from the Star Trek fans) did not get the guernsey as a) it names a (currently nonexistent) family of asteroids and b) Vulcan is a bit hot for a cold Moon, so the second and third place getters, Kerebros (the dog that guards Plutos underworld) and Styx (the goddess who ruled over the eponymous underworld river), are in instead. The full story is here. Of course I've made Celestia files for the newly named Moons. As usual, copy the data here to a plain text file (newplutomoons.ssc), copy the file to the Celestia extras folder. Celestia already has Charon, Hydra and Nix. Now I have to update my Celestia Moon tour. "Kerberos:Pluto IV:134340 Pluto IV:S/2011 P1" "Sol/Pluto"
Texture "asteroid.jpg" # "spectrally neutral"
"Styx:Pluto V:134340 Pluto V:S/2012 P1" "Sol/Pluto"
EldestOne entered a story in the Campbelltown Literary Awards competition (the links to the actual stories will be up by Friday they say). 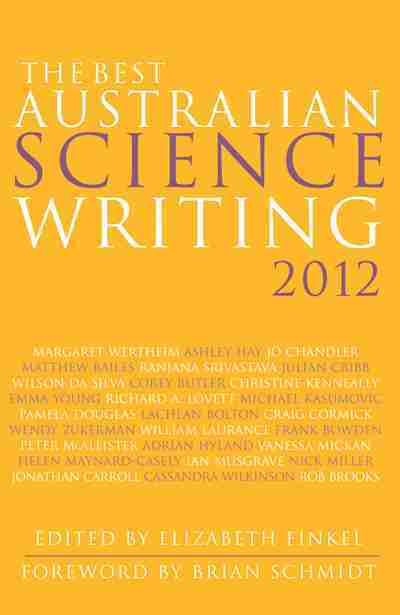 It was a free-wheeling science fiction story, I thought it rather good (although I'm his dad, so that doesn't count, but the part where Tasmania rose out of the ocean and launched itself into space was pretty hilarious). Well, the judges thought it okay as well, and he won Silver in the Youth Writer (15-24 years) section. Not bad for his first competition. The Deputy Mayor read out the précis of his story with relish. EldestOne is off holidaying with the rest of the family while I stay here and mark exams (sad face), so I gave him the good news by phone, and impersonated him for the photo's I also conveyed the part of one of the judges speech where she emphasised edition and revising (evil grin). Now if I can just convince MiddleOne that his art is fine. Evening sky looking west as seen from Adelaide at 18:30 pm local time on Wednesday July 3. Venus is just below the Beehive cluster (Praesepe). 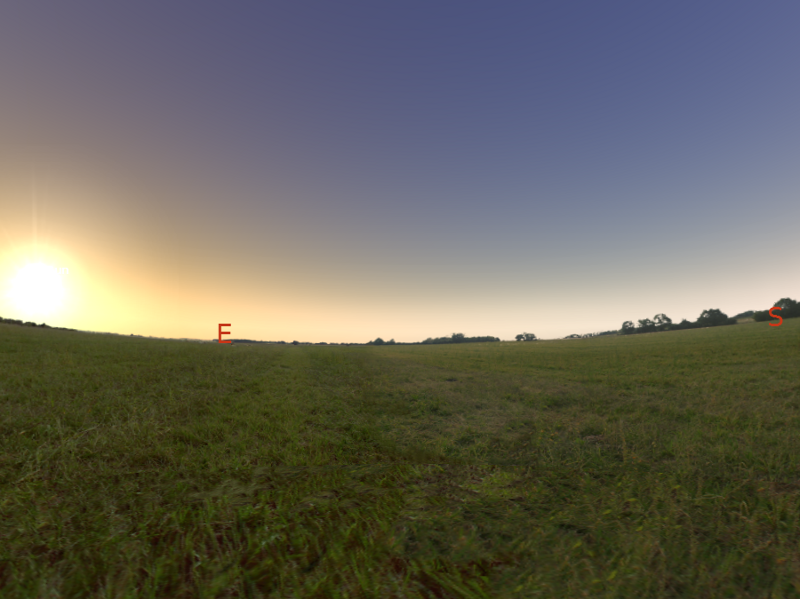 The inset shows the binocular view at this time. Similar views will be seen elsewhere at the equivalent local times. Click to embiggen. On the 3rd and 4th of July Venus is close to the Beehive cluster (Praesepe). However, there is only a short time in the twilight when it is dark enough to see the cluster in binoculars or a small telescope, and when the cluster is too close to the horizon to see through the murk (unless you have super eyesight, the cluster will be too faint to see in the twilight with the unaided eyes). You should probably start looking around an hour after sunset. Although astronomical twilight, when the sky is totally dark, is an hour and a half after sunset Venus will be less than a handspan from the horzion, and the faint stars of the Beehive will be difficult to see due to horizon grunge. The New Moon is Monday July 8. Earth is at aphelion, when it is furthest from the Sun, on July 5th. 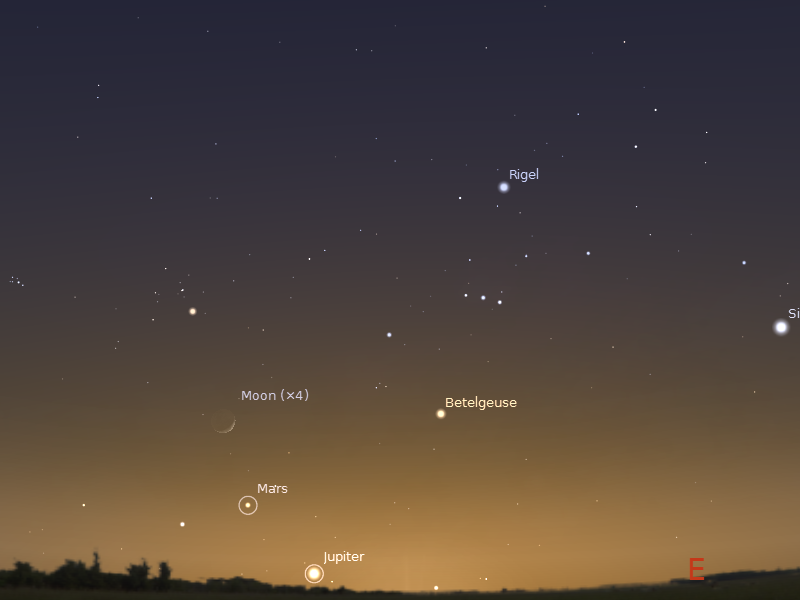 Mars rises in the morning twilight and is visited by the Moon on the 6th. Jupiter returns to the morning sky. Venus is readily visible in the evening twilight and is visited by the Moon on the 10th and 11th. 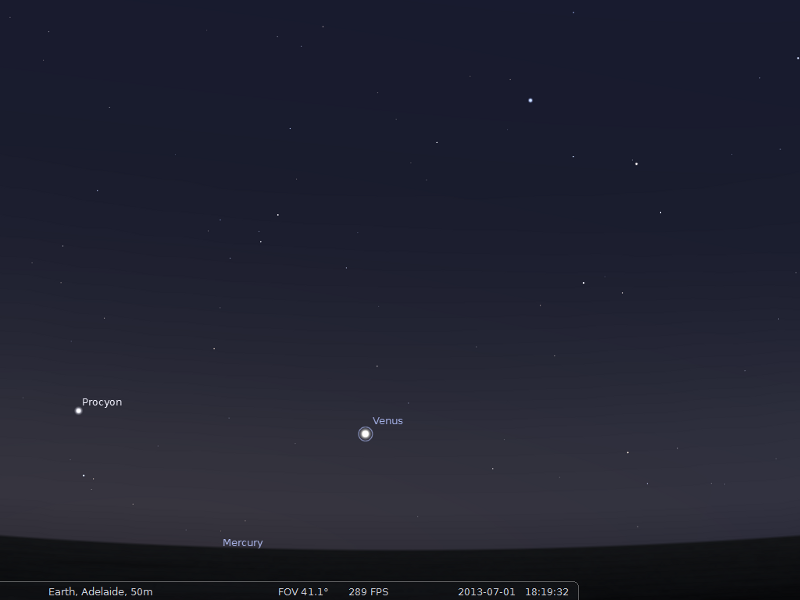 Venus is close to the Beehive cluster on the 3rd and 4th. Saturn is high in the evening skies. The New Moon is Monday July 8. Earth is at aphelion, when it is furthest from the Sun, on July 5th. Evening sky looking west as seen from Adelaide at 18:00 pm local time on Wednesday July 10. Venus is close to the crescent Moon. Similar views will be seen elsewhere at the equivalent local times. Click to embiggen. Mercury is now lost to sight in the twilight, and is at inferior conjunction on the 10th. It will return to the morning skies later this month. On the 3rd and 4th Venus is close to the Beehive cluster, but there is only a short time in the twilight when it is dark enough to see the cluster in binoculars, and when the cluster is too close to the horizon to see through the murk. On the 10th the Moon is below Venus, and on the 11th it is above it, making a fine evening sight. Saturn is easily visible above the northern horizon in the early evening in the constellation of Virgo. By 10 pm local time it is high above the northern-western horizon and very easy to see.This is an excellent time to view this planet in a small telescope, as there will be the little interference from horizon murk and air turbulence (and you can show the kids before they go to bed). At the start of the week Saturn is less than half a finger-width from the dim star Kappa Virginis, but leaves it behind as the week progresses. Morning sky on Saturday July 6 looking north-east as seen from Adelaide at 6:45 am local time in South Australia. Mars is below the red star Aldebaran in the twilight, the Moon is not far above it and Jupiter is peeking over the horizon. Similar views will be seen elsewhere at the equivalent local time (click to embiggen). Mars rises in the morning twilight, but will still be best if you have a flat, clear horizon. It forms a triangle with two red giant stars, Aldebaran and Betelgeuse. On the 6th the crescent Moon is above Mars. Jupiter is now just peeking above the north-eastern horizon, you really need a flat, unobstructed eastern horizon to see it. On the 7th the crescent Moon is between Mars and Jupiter. 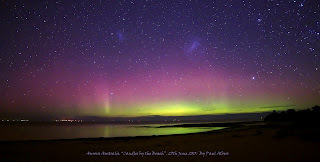 Images of the aurora from Trial Bay near Kettering in Tasmania, by Graham Sanders (all these images are copyright of their takers, so please ask permission if you want to use them). 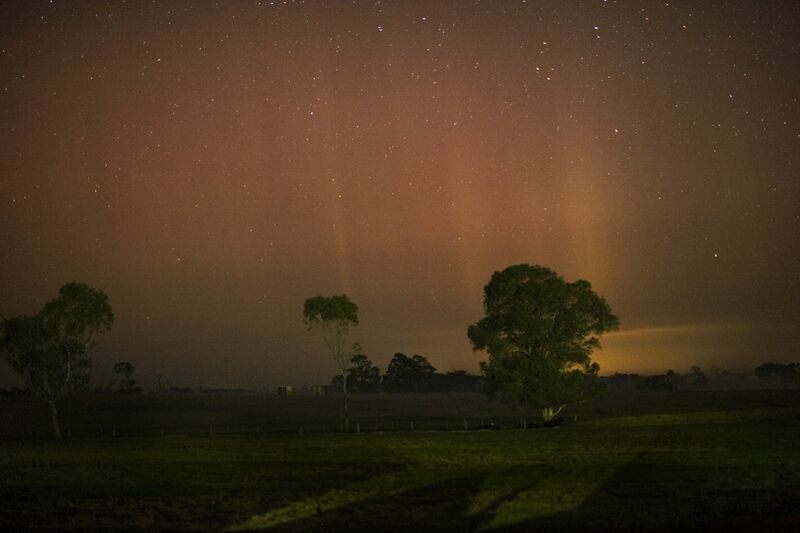 Brilliant pillars of light Paul Albers got these shots near Flinders, Victoria. Being further north the colours are more muted than the Tasmanian ones, but as with his last images here, the composition is marvellous with the Magellanic clouds. Dough Steley took this from Heyfield Victoria. He wiites "Not really visible to the human eye just the faintest glow on the southern horizon. A 5 second exposure @ 6400iso and an f1.8 85mm lens on a Nikon D700 full frame digital, just captures the faint streaks." Another one from Brooke Brorsen, there appears to be a satellite in this one. 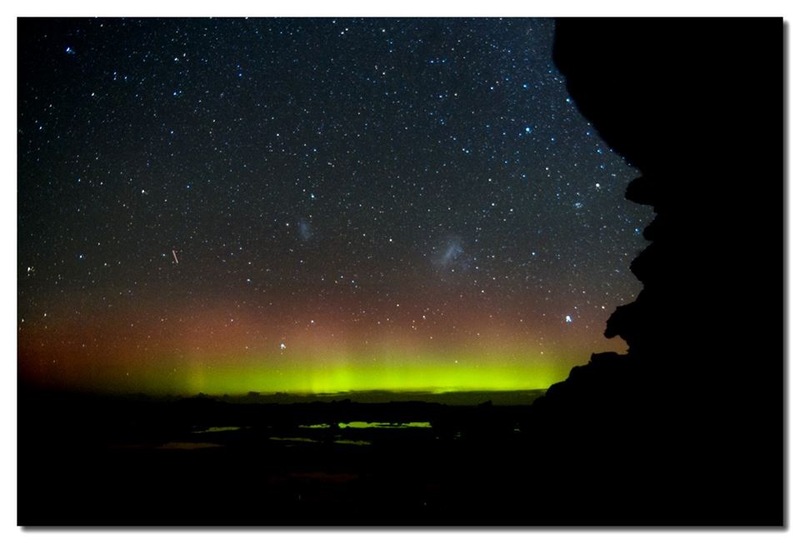 Some images sent in by correspondents of the amazing Aurora Australis of last Saturday night (29 March 2013) are shown above (thanks guys for sharing). They sent me lots more but I don't have time to show them all, wonderful though they are (they may also dispute my choice of pictures, but these ones kind of resonated with me). 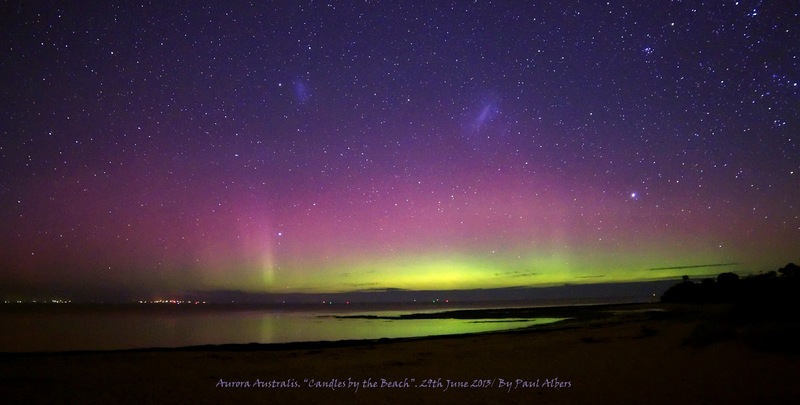 The nearly full on impact from a fairly modest solar wind stream of a coronal hole saw a significant geomagnetic storm and aurora being detected in Tasmania, Victoria, South Australia and Western Australia. Sadly cloud cover meant many places were unable to see the Aurora Australis (like me), but quite a few people got to see the show before the Moon rose. 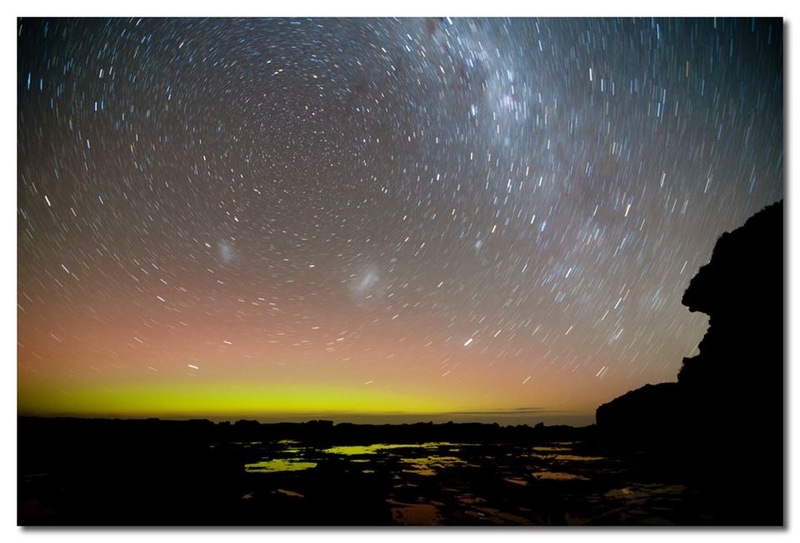 Now here's some links to some amazing images from the Aurora Australis Tasmania group (remember what I said about copyright and permissions). As with last time there is no particular order to these (and if I have missed you out, it's because I had to stop and go to bed, I should have done this yesterday when the pictures hadn't scrolled away, but exam marking was a priority). Deb Sulzberger took this lovely image from her back yard. Leoni George Williams also has a lovely sequence from the Mortimer Bay Reserve, Tasmania. Sophie Fazackerley has beams too! 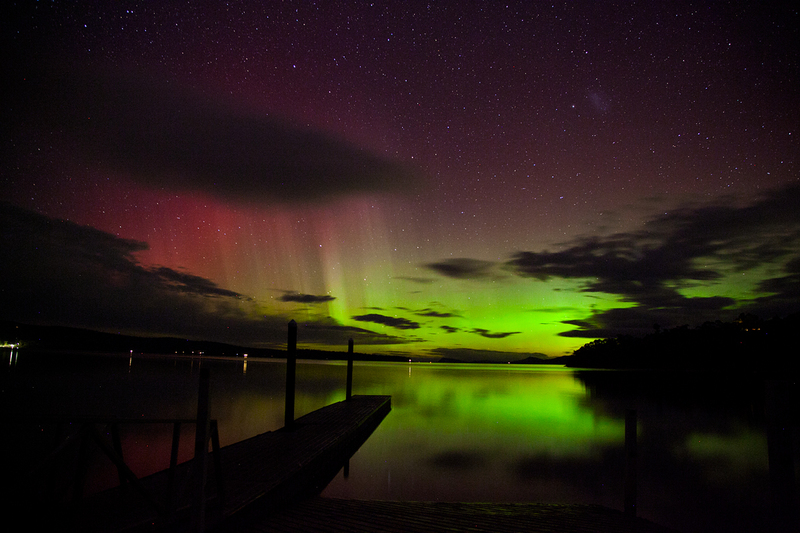 Melanie Crayford captured her first aurora at Howden, Tasmania. There's lots more amazing images, but I have to crash now.